Appropriately dubbed Move to iOS, the app wirelessly and securely transfers your “contacts, message history, camera photos and videos, web bookmarks, mail accounts, calendars, wallpaper, and DRM-free songs and books,” the company says. Not only this, it also helps you rebuild your app library – your free apps are marked as suggested downloads in the App Store, while paid ones are added to your iTunes Wish List. 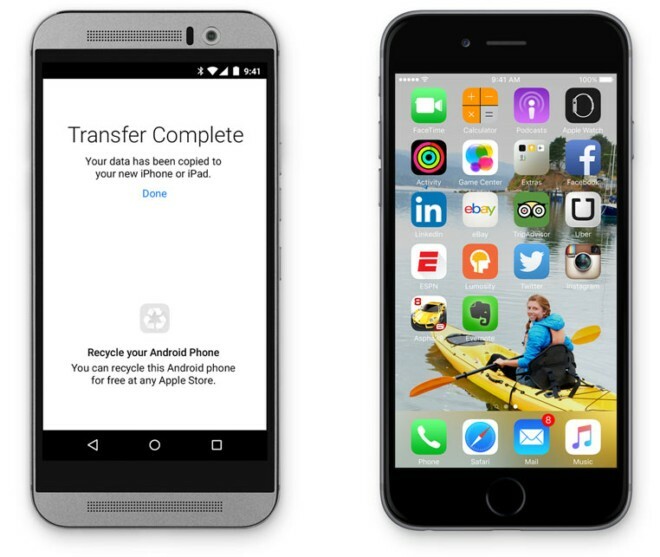 Finally, once the data transfer is complete, the app also suggests that you recycle your Android phone at any Apple Store.